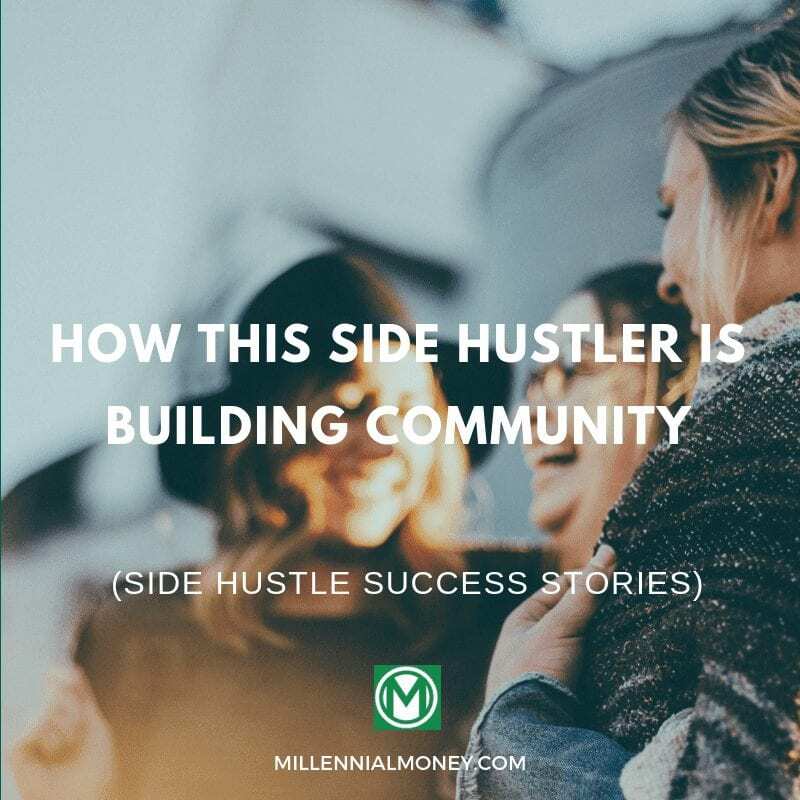 Welcome to the Side Hustle Success Stories interview series where we chat with real people about real side hustles! Today, we learn about one side hustlers joureny to build community. Ashley from Harness Magazine presents her best side hustle tips. My name is Ashley Rector, and I am the founder of Harness Magazine. Harness Magazine publishes the articles, artwork, and poetry from women around the world. Our mission is to empower women to share their authentic stories and passions. Harness is my side hustle gone global. It started roughly two years ago out of a passion to connect and inspire women to share their stories. Today, we’ve published over 1,000 articles digitally, published two print issues, released merchandise, planned and hosted events, and grown our social following to over 16,000 and so much more. Being the founder of Harness Magazine feels a lot like what I imagine being batwoman would feel like. By day, I am a dependable contracts attorney keeping the company I support safe from lawsuits and advising others on routine legal matters. My job is a typical corporate job — small talk by the coffee machine and office politics. By night, I turn into the woman in charge of driving an entire community of women. I put on my cape, and I create new content, strategize the future of my business, answer emails and wear hat after hat to keep this company up and running. From the inception of your business to its sale or closure, you will realize that time is the most precious currency. You can’t buy more time and if you could – every dollar would be invested into getting more time back in your day. You have to be super focused and most importantly, passionate about your side business. Work on your lunch break, after work, weekends – really whenever you have time to squeeze in a few minutes. Coming up with a structured schedule is the most efficient way to accomplish what you want to do in a week. If you don’t set time aside to do your side hustle, you are going to get underwater fast. But you also have to be realistic. If you have a day job and a side hustle, you still need to make time for yourself. Often times, self-care is the first thing to go, and you can’t run a successful side hustle on an empty tank. Make sure you are refueling you. Harness Magazine hasn’t been all sunshine and rainbows. There have definitely been rainy days. I had to learn a few hard lessons to get to where I am now, and I still have a long way to go. Make sure you research your business name before you decide to announce it to the world. Too many times businesses have announced a name only to find out it is trademarked later. If you don’t have the funds to consult a trademark attorney, at the very least Google it. Walk a mile in their shoes. What do they like? Dislike? What are their interests? How do they talk? Who are their friends? Where do they live? What are they looking for? Why would they utilize your product or service? What pain point does it solve? If you can’t articulate who your potential customer is – you are going to have a hard time pitching your product and refining your brand voice. 3. Invest in good people and a good website. I made the mistake of hiring some people that should not have been part of the team. By adding a person who has a poor work ethic or who is not enthusiastic about the brand, it brings down other members of the team. A good question to ask if someone is bringing down your team is: would you rehire everyone if you had the chance to start over? Additionally, a good website speaks VOLUMES. The first touch point a person has with your brand is often your website or social media. You want to make sure you invest in one that is easy to use. If your website is glitchy or difficult to navigate – a potential customer may fall out of the sales funnel. Okay, enough warnings. Let me tell you about some of our successes and how we accomplished those successes. Harness Magazine went from distributing a few hundred issues with Issue I to over 9,000 for issue II. How is such a leap possible? We did this without partnering with a national distributor, but how, how, how? I will tell you. We beefed up advertising in Issue II, but in a very particular way. We opened up a few select spots and invited the businesses that we wanted to advertise to those spots. There was a selection process – so it made advertising exclusive and on brand for us. Once advertising was solidified we started approaching bigger businesses for wholesale orders. We allowed businesses to purchase wholesale orders at a discounted price. Then we started approaching shops about consignment and conferences about donation. We found conferences that mirrored our message and we donated to swag bags and merchandise tables. We wanted to make sure EVERY magazine found a home. By pushing ourselves, we pushed the brand to the next level. So you care less about distribution and more about social media? We grew Harness to over 16,000 followers on Instagram in under two years. There are a few simple things you MUST be doing to make this work: put out quality photos, make sure the color theme is cohesive, figure out the story you are trying to tell through Instagram, interact with individuals through targeted hashtags and create SHAREABLE content. If you do this consistently – your follower base will grow. Finally, as the driving force behind the brand, I truly started to see it push forward when I started to combat my limiting beliefs. If I always thought Harness was going to fail because print is dying – then it would fail. If I always believed we would be small – then we would be small. You are the biggest obstacle to the success of your business. You need to know when to believe in yourself and know when to trust others, and you are not always going to know which one to do. Failing just comes as part of the job when you start something. Getting really comfortable not knowing all of the answers and accepting failure will help you to be quick to move to the next best thing for your business. This is really encouraging. I’m about to take up my side hustle again, which has nothing to do with my day job, and I’ve been really struggling to get motivated. I think you made a lot of really great points in here that I will keep with me as I head down this path to grow my small business. Thank you!